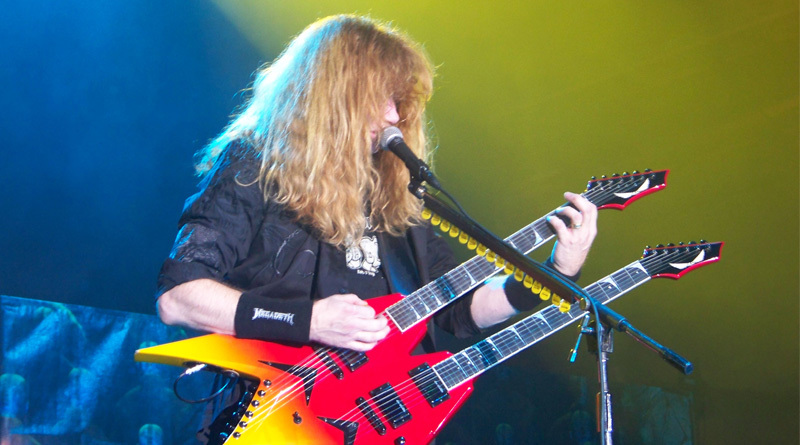 Fellow Metalheads, welcome to the part two of this three part series on thrash metal spider riffing lesson in the style of Dave Mustaine. If you missed out on the first part of the series, go here: Thrash Metal Spider – Part 1. I hope you have been doing the exercises explained in the previous article and getting better at it. In this article, let’s make things a bit complex. In previous exercise, we practiced the technique on the same string chromatically. Now, we’ll move on different set of strings (EA and AD) in linear fashion. Let’s take a look at the exercise in detail. Form F5 chord on low E string. Put your index finger on fret 1 of low E and ring finger on fret 3 of A string and give it a chug! 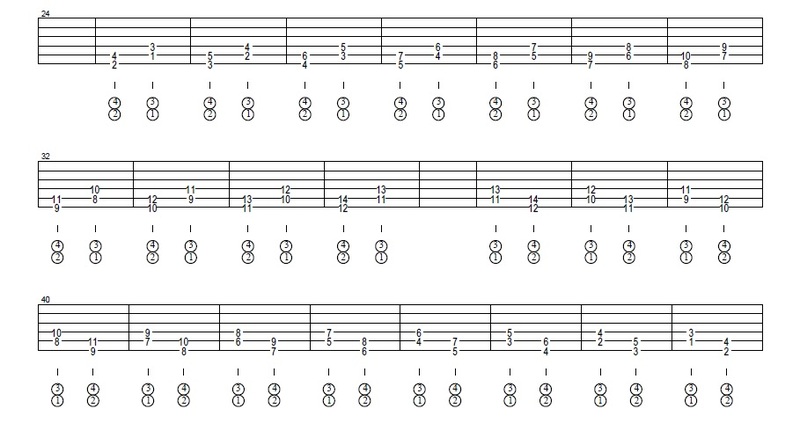 Now, form B5 chord on A string. Put your middle finger on fret 2 of A and pinky finger on fret 4 of D string; make sure that you have lifted your ring finger from A string. Give it a chug! Now, move this pattern in linear way i.e. F#5 – C5, G5 – C#5 and so on till fret 12 and descend till fret 1. 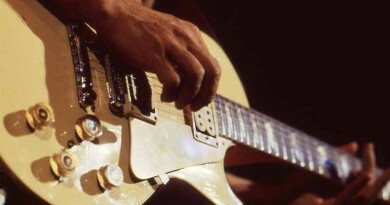 When plucking a chord, make sure that you’re hitting the right string combination. Now, let's make a tiny tweak in the previous exercise. 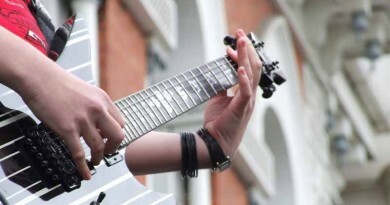 Form F#5 chord with your middle finger on fret 2 of low E string and pinky on fret 4 of A string, give it a chug. 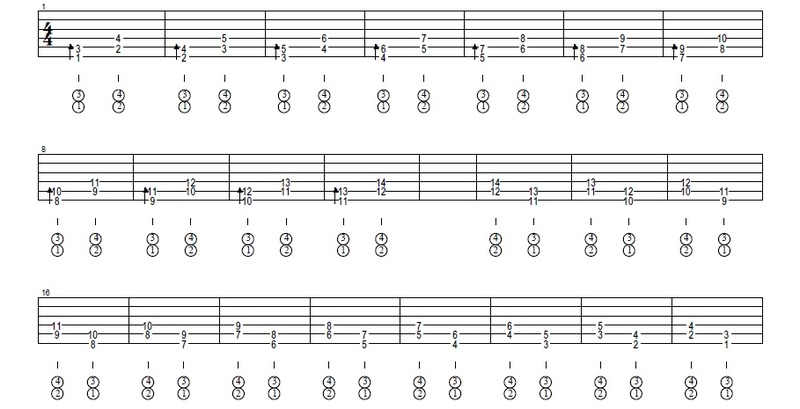 Now, form Bb5 chord with your index finger on fret 1 of A string and ring finger on D string, and give it a strum. Make sure you have removed your pinky finger from fret 4 of A string! Now, like previous exercises, ascend the pattern in linear way i.e. G5-B5, Ab5-C5 and so on till fret 12 and descend till F#5. Once again, make sure that you are picking the right string combination. 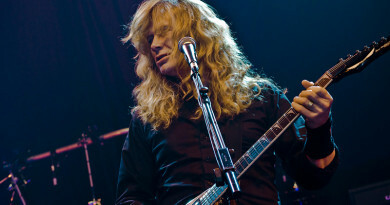 In the final part of this series, we will learn how Dave Mustaine has applied this technique in his playing. Till then, happy riffing!